General Manager Cam Russell is extremely pleased to announce Eric Veilleux as the new Head Coach of the 2019 Memorial Cup host Halifax Mooseheads. The 46-year-old becomes the 11th Head Coach in franchise history. “I am very grateful for this opportunity. 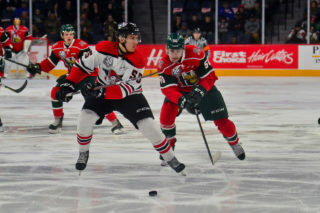 Knowing the high standards the Mooseheads have always had and just to get the call from them expressing their interest was an honour for me,” Veilleux said. Eric comes to the Mooseheads after spending two seasons as the Head Coach of the Colorado Avalanche’s AHL affiliate San Antonio Rampage. The native of Quebec City, QC is a former CHL Coach of the Year and a Memorial Cup champion. He also led his teams to three QMJHL President Cup Finals appearances. “We’re excited to have a coach of Eric’s quality and background behind our bench next season. We feel this experience and past success is paramount for our team success moving forward,” GM Cam Russell stated. 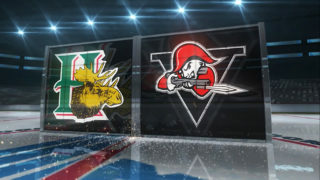 Veilleux’s QMJHL career record as a Head Coach is outstanding at 347-208-45 which included seasons of 40-plus wins in five of his eight years as a bench boss. “We’re very pleased to name Eric Veilleux as the coach of our team. He has the ability and the experience to help our team succeed and to enable our talented group of players to develop to their potential. 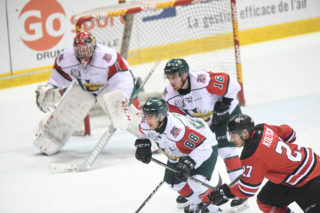 This is a very important day for the Halifax Mooseheads,” said Mooseheads majority owner Bobby Smith. His prolific coaching career began in the QMJHL with the Shawinigan Cataractes in 2005 when he was a midseason replacement. 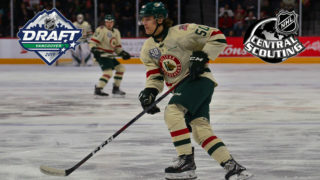 He went on to guide the team until 2012 finishing on a high note as the Memorial Cup hosting Cataractes captured the CHL championship. 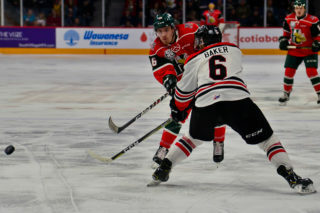 From there he moved on to Baie-Comeau for two seasons, taking the Drakkar to the QMJHL finals both years and winning the CHL Coach of the Year in 2013-14. 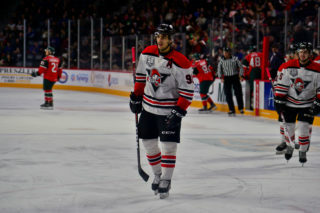 Veilleux said he is looking forward to coming back to the QMJHL and is even more thrilled to have another chance at winning a Memorial Cup title.